We are proud to announce that Annemarie Redmond is our new school board member! Welcome and Congratulations! Thanks to Steve Lanoza, WS Lead Cook, we will be having REAL hot dogs on Tuesday to commemorate the opening of Fenway Park and the baseball season! 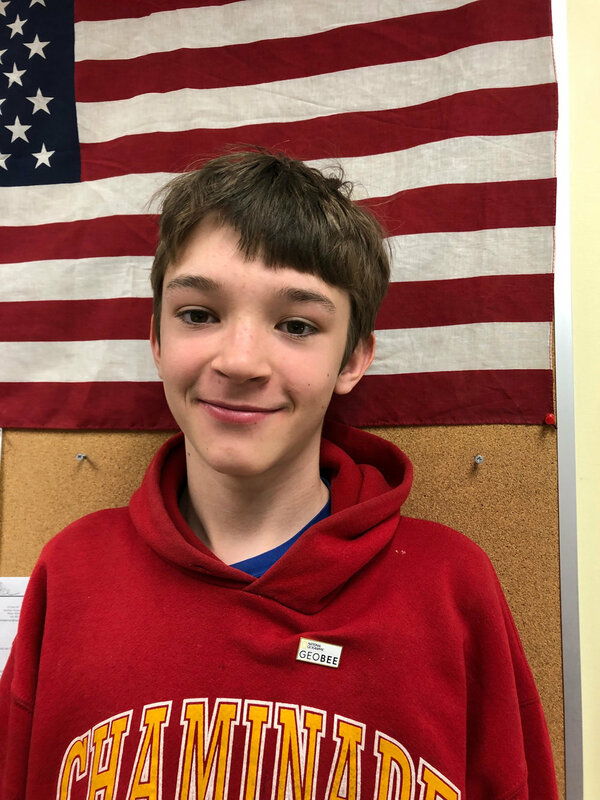 Zed McNaughton, an eighth grade student at Weathersfield School, won the school-level competition of the National Geographic GeoBee on Tuesday, December 4th. He was notified by the National Geographic Society that he was one of the semifinalists eligible to compete in the 2019 State Competition. This is the second level of the National Geographic GeoBee competition, which is now in its 31st year. The National Geographic Society invited up to 100 of the top-scoring students in each of the 50 states, the District of Columbia, Department of Defense Dependents Schools and U.S. Territories to compete in the State GeoBees. Zed attended the National Geographic GeoBee Vermont State Competition on Friday, March 29th, 2019, at Southern Vermont College in Bennington, Vermont. In the Preliminary Rounds, he answered 7 out of 8 questions correctly and advanced to the Final Rounds. Zed McNaughton, son of Nathan and Marina McNaughton, came in 7th place in the state. Congratulations, Zed, on this great accomplishment!